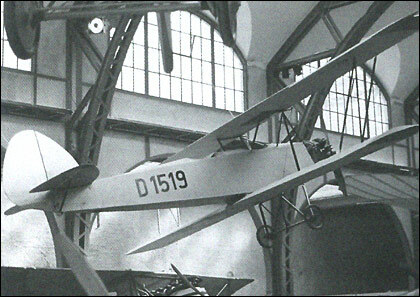 The plane illustrated hangs in the Berlin Technical Museum and was produced in 1928. The Grasmucke ( Midge or Gnat, but some sources say Warbler) was a light weight sports plane with supposedly some 20 models being produced. The company went into administration when the chief test pilot Gerhard Fiesler took the company's glider design and set himself up in a company of his own name.